California Pizza Kitchen Rewards Program with Free Small Plate + Coke with Sign-Up! California Pizza Kitchen has a rewards program called Pizza Dough Rewards. 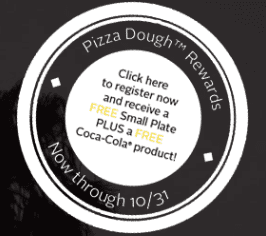 If you sign up now through 10/31/13 you will receive a free small plate and a free Coca-Cola product! You will receive an e-mail confirmation with how to redeem in your e-mail and you have 21 days to redeem your freebies. For more information or to sign-up, please head here. Okay, I love this offer. I tweeted about this earlier, but I wanted to highlight this if you missed it. 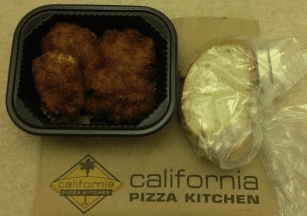 California Pizza Kitchen is offering a FREE Small Bite for dine-in or take-out, no purchase necessary. Bring in this letter or use promo code SMALL BITE at checkout. I placed my order at CPK this afternoon, and scheduled my pick-up time for after work. I picked the crispy mac and cheese and received complimentary bread and butter too. My final bill was $0.00! Perfect little dinner for one take-out style, or a great appetizer if you want to dine-in. This freebie expires January, 31, 2013.